Ripple cushion: to fit a 46cm (18 inch) square cushion pad. Actual size 43cm x 43cm (17 inch x 17 inch). 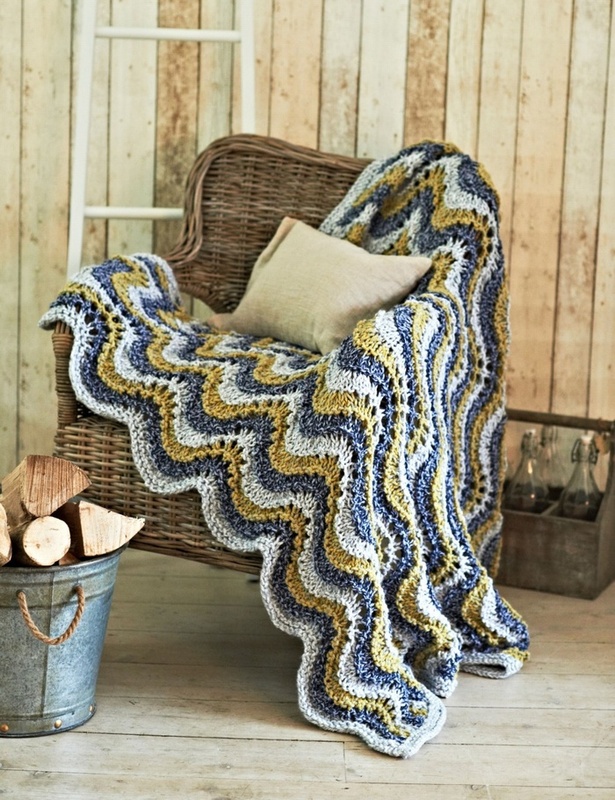 Uses 4 x 100g balls of Nordic Super Chunky<br> <br> Ripple Throw: 140cm x 140cm (55.1/4 x 55.1/4") uses total of 16 x 100g balls of Nordic Super Chunky<br> Colours used Glacier 1636, Fjord 1639, Sulphur 1635<br> <br> 1 pair 12mm needles (US 17) for the throw and 1 pair 9mm (UK 00 - US13) knitting needles for the cushion. 1 pair 12mm needles (US 17) for the throw and 1 pair 9mm (UK 00 - US13) knitting needles for the cushion.